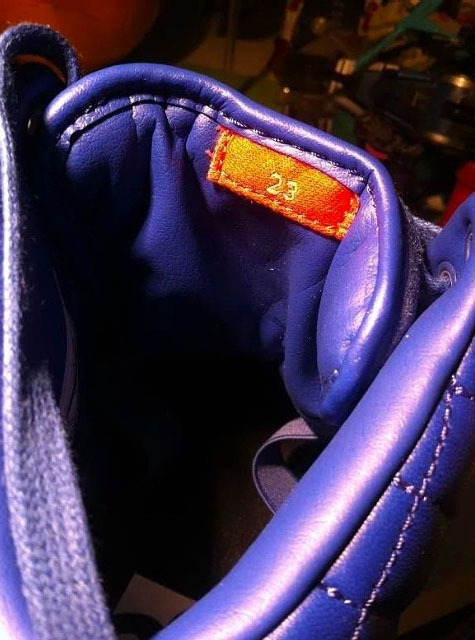 After dabbling in the high fashion sneaker market with releases like the Air Jordan Future and Air Jordan Shine, Jordan Brand is treating one of its signature models to a premium makeover for 2015. 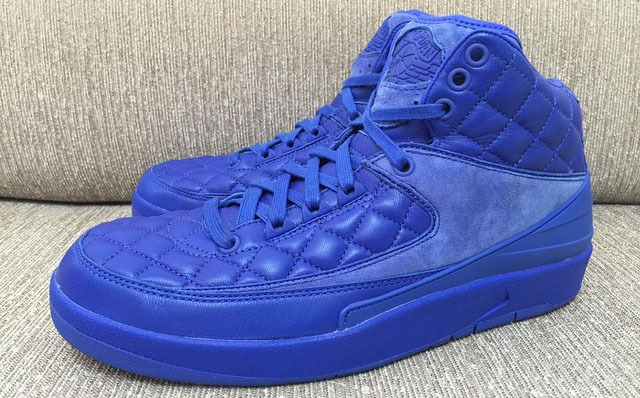 Below is our first look at 'Quilted' Air Jordan 2 Retro, apparently scheduled for Jordan Brand's 30th Anniversary celebration next year. 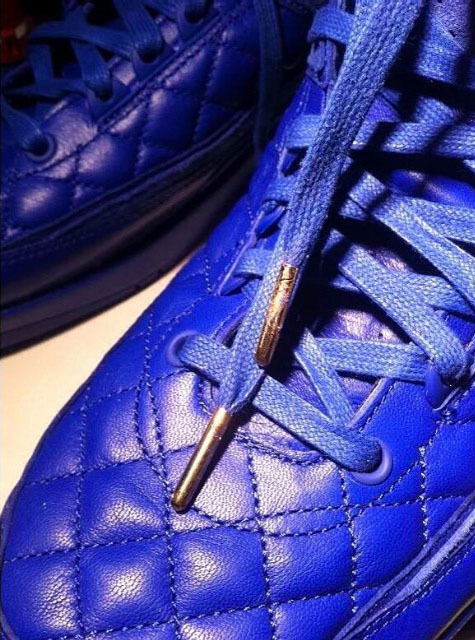 The shoe dons a fully quilt-stitched blue leather upper, leather inner lining, suede tongue, waxed laces and gold tips. 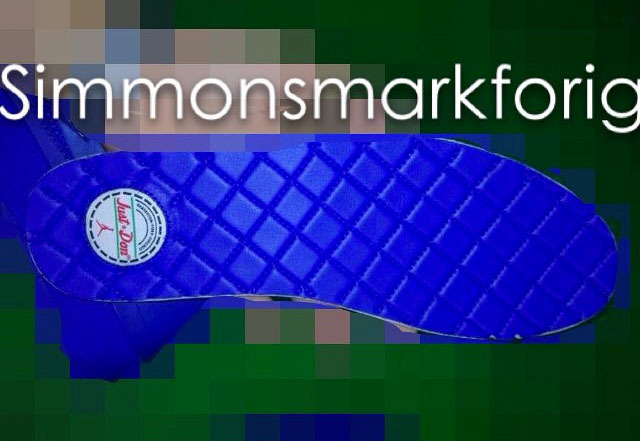 The concept isn't exactly new to Nike and its subsidiaries, but the complete presentation feels like they're piggybacking off recent market trends. 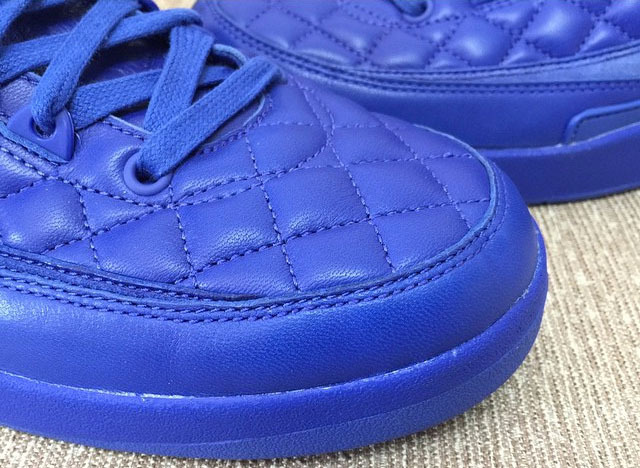 There isn't a release date for the 'Quilted' 2 at the moment, but we'll continue to follow the story here at Sole Collector. 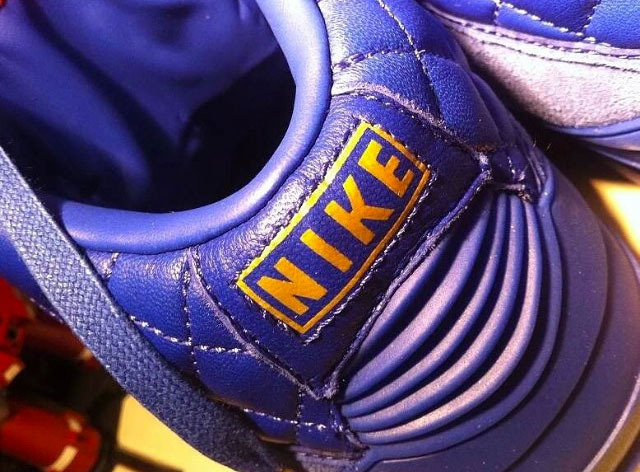 In the meantime, share your initial thoughts with us in the comment section. 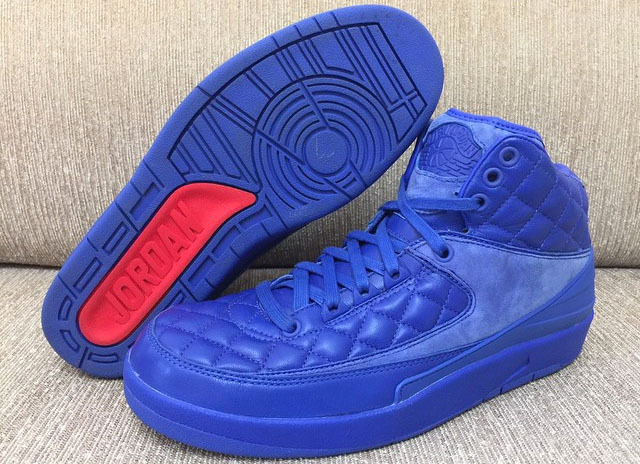 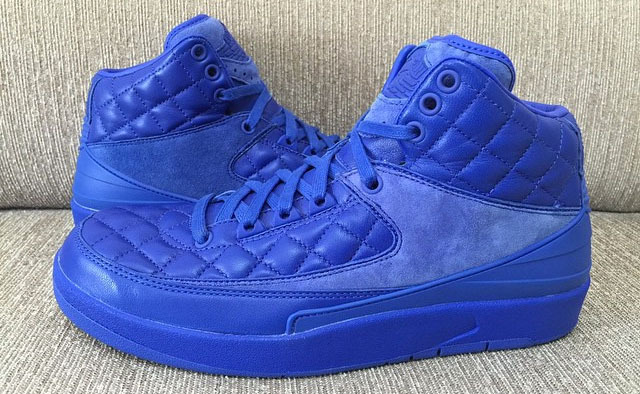 UPDATE 12/16: New images of the Just Don x Air Jordan 2 Retro, which is rumored to be limited to just 800 pairs. 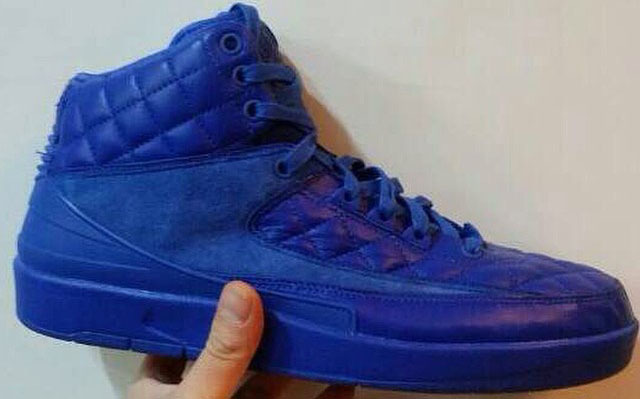 Despite the mixed reaction, these will be a hot commodity if that number holds true. 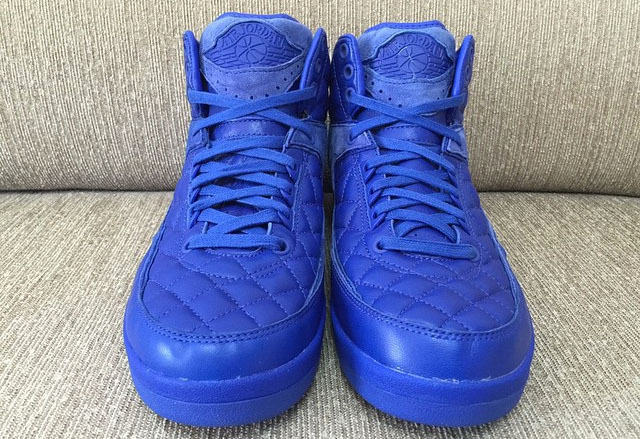 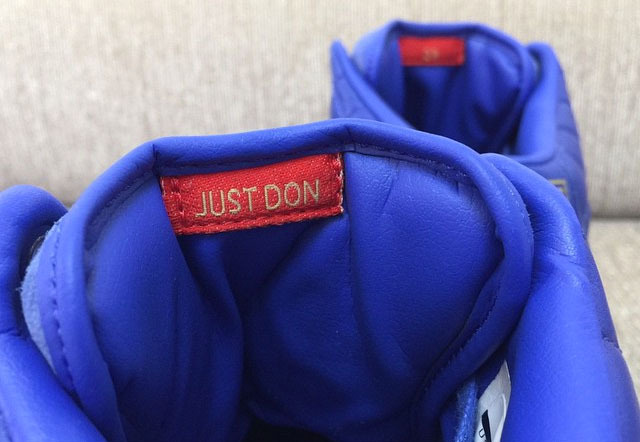 There's still no confirmed release details from Just Don or the Jordan Brand. 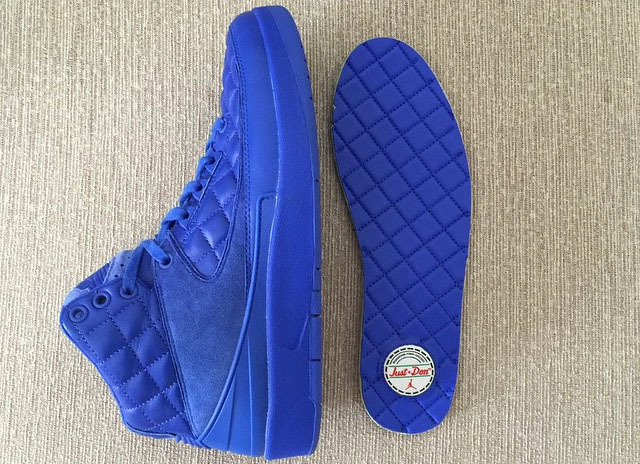 via @USHustla11. 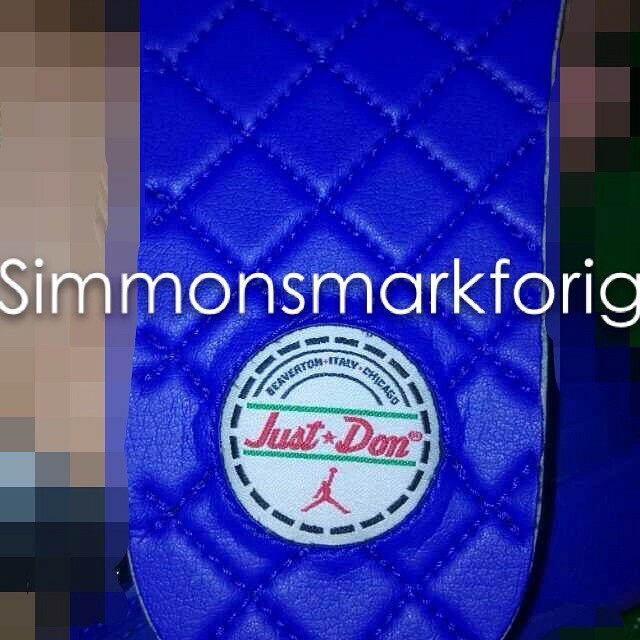 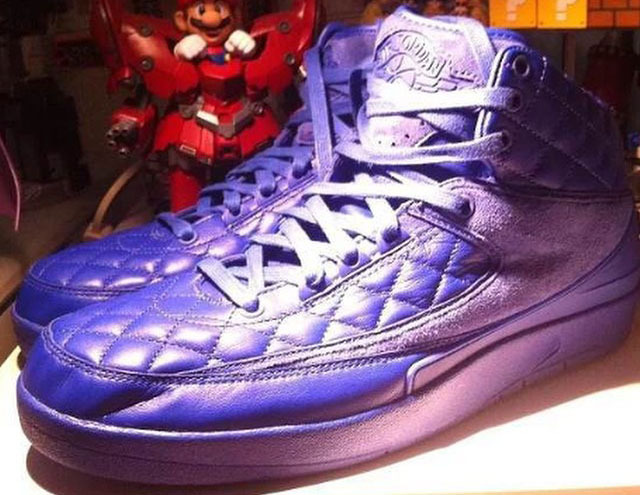 UPDATE 12/8: New images via @simmonsmarkforig reveal that the 'Quilted' Air Jordan 2 may be a collaboration with Don C's Just Don streetwear brand. 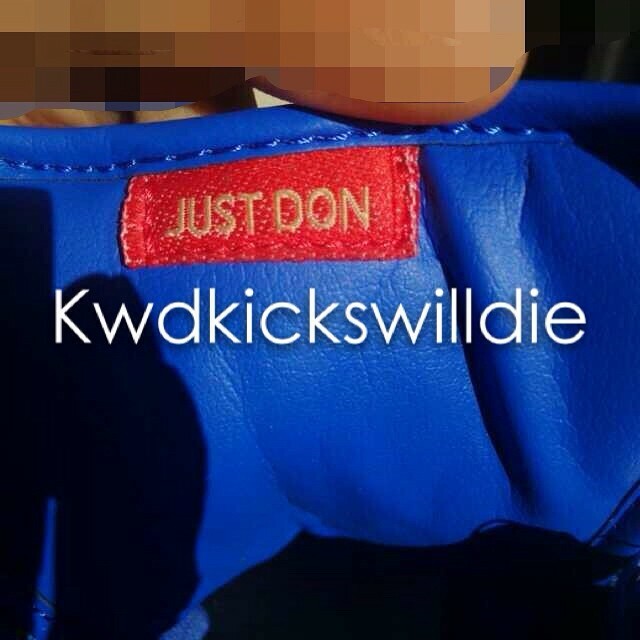 'Just Don' is stitched on the backside tongue tag and custom patches on the insoles. 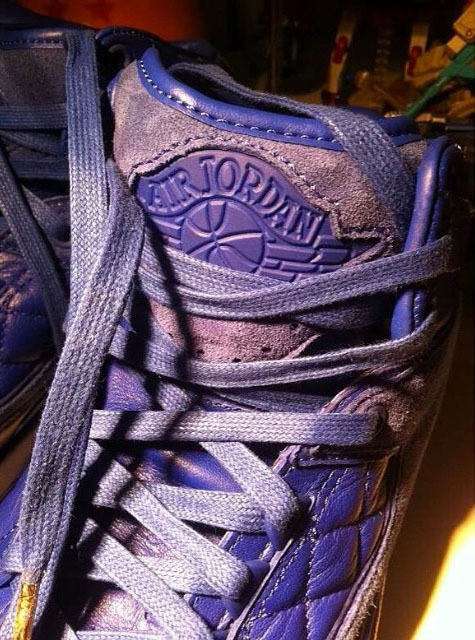 Jordan Brand first linked up with Just Don for the 'BHM' Air Jordan 1 charity auctions in 2013. 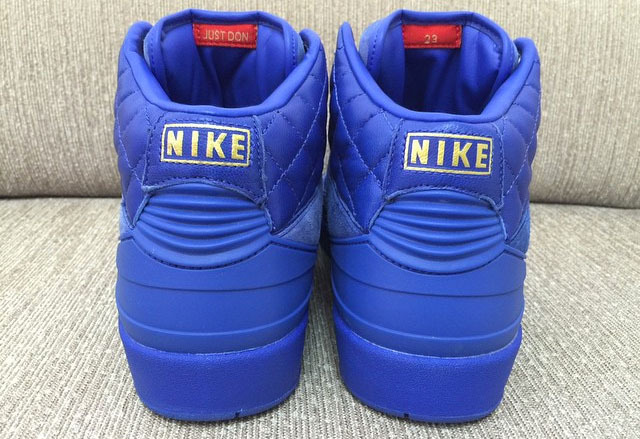 More on this as the story develops. 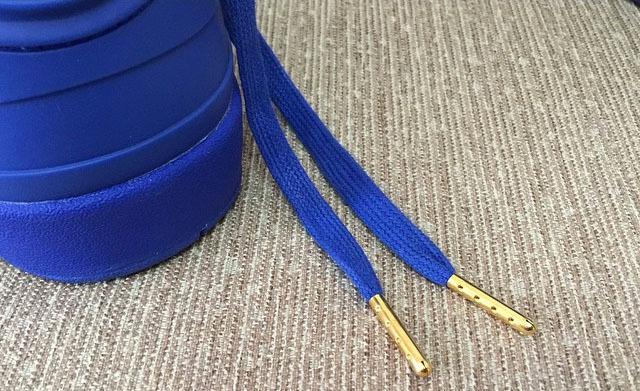 UPDATE 11/25: New images via @fyk7.